Last July, Neil Young traveled to Nashville, Tenn to record an album of covers at Jack White's Third Man Records on a refurbished 1947 Voice-o-Graph vinyl recording booth. The album titled A Letter Home was something of a mystery in terms of release info for yesterday's International Record Store Day but it now is listed on Third Man Records for ordering as a vinyl only release. The event was staged in an effort to get music fans into independent record stores, and the current return-to-vinyl explosion led in no small part by White’s Third Man Records store. 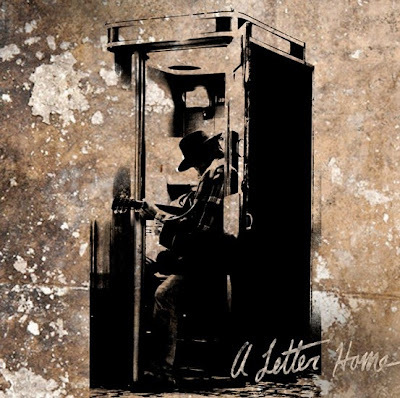 The local Nashville shop also sold a Neil Young covers album, A Letter Home, on Saturday, that the Canadian singer-songwriter recently recorded there inside a Voice-O-Graph booth. “Neil Young just stopped by. He was driving his electric car, the LincVolt, he was driving around town and filming stuff, and he stopped by, checked it out, and me and him were talking about it. We had a curtain set up on the other side,” said White. “And some kid came into the recording booth and recorded a Neil Young song and when he opened the door, Neil Young just peaked his head out." @eddy - well that was fast?! But don't panic yet. More news appears to be on horizon for ALH. @anon - good guess. Someone else pointed out that Neil's boyhood home in Winnipeg was Grosvenor Avenue. "A Letter Home Intro" is missing on the list. What, was it a Record Store Day exclusive? "More news appears to be on horizon for ALH" ??? Where can I find that horizon? Already on sale on ebay for $250. What a crock. 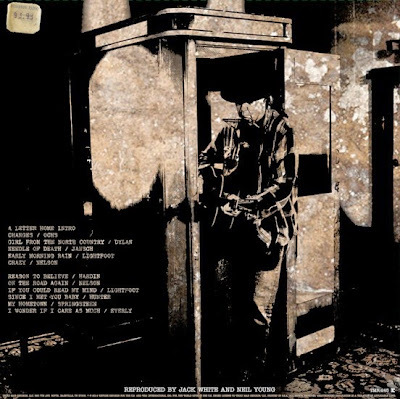 Hope Neil will give us another chance to get this on vinyl. ... or at least tell his loyal fans that this is a Record Store Day exclusive release. “When you listen to it on Pono, it’s a direct feed from the booth. It didn’t go to the vinyl, it went right out the back of the booth to an analog master, which was transferred to the highest resolution digital, and that’s what you hear on Pono. This isn't a Record Store Day exclusive release, in fact it was up for sale a day before Record Store Day.
" it's a direct feed from the booth.."
Well, unless they put a quality microphone in there I can't imagine that it sounds very good. Being crammed in a box...well, he did that recording "Bandit" IIRC, but that was at least a custom made box, not some novelty arcade phone booth. However, I do appreciate his perversity in using Pono as the playback device for what must be a very crude recording. Why not go all the way back to wax cylinders? 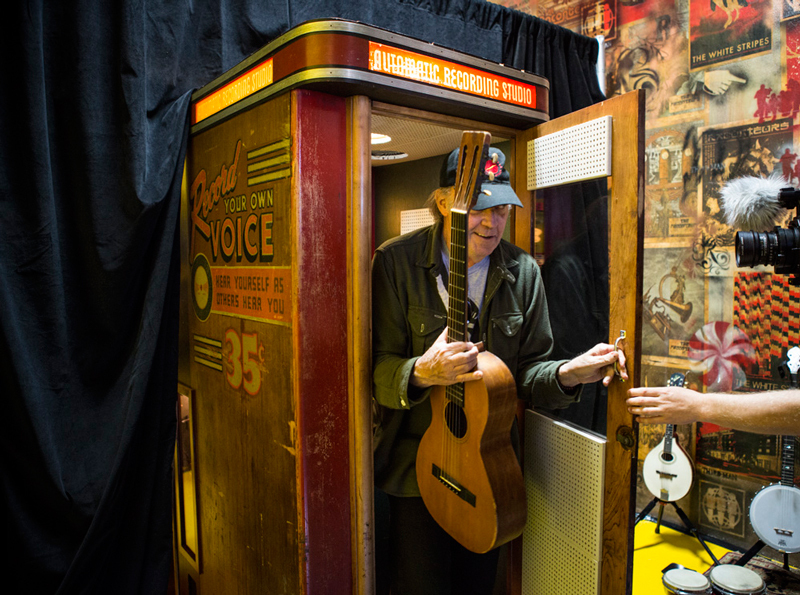 I live about 100 miles from Nashville…so I've visited Third Man Records and seen the booth… from my understanding, You've got like only 2 minutes 30 seconds to play a song…how on earth did he pull "Changes" off in that booth? I saw those on ebay as well…one was going for $130 with 19 bids…why would someone pay that when you can still order it from Third Man for $20? "I saw those on ebay as well…one was going for $130 with 19 bids…why would someone pay that when you can still order it from Third Man for $20?" The site says they're in stock, but when you try to buy one, you're given an alert notifying that they're is out of stock. Bloody annoying. oh ok…i ordered mine Friday night so i've not tried since then…whew! glad i didn't pussyfoot around with ordering the record…anxiously waiting for Monday or Tuesday! I am not willing to shell out 200 Dollars just to hear his new album. I emailed third man records and they told me that they will be getting it back in stock very soon. They are just waiting for it to come from the printing press. Yes! listen to anon 11:46am! Do not pay the disgusting ebay scapler prices! A few fans who've already bid $150+ are getting royally shafted! The obvious question to me is how the heck does releasing an album on the internet support local record stores??? wft is wrong with Neil Young??? It wasn't an actual Record Store Day release (see their website for the full list), timing was coincidental. Seems to be in stock again on the Third Man site. Avoid the ebay flippers! doesnt make sense is why not have the vinyl as a RSD release and available on jack whites site. How does releasing an album on vinyl screw over the "loyal fans"? I am a very loyal fan and I managed to score a copy. I like the fact that Third man put it without any big announcement for this strange but innaresting vinyl. Album is back in stock on TMR website. Just ordered 2 copies. Kinda surprised there aren't more reviews of the record itself. Don't tell me that everyone that got one isn't even going to open it or play it. I sure hope he releases this on CD!!!! I can't afford a Pono. :( I so badly want to hear this!!!! Matthew: CD now listed on Amazon Canada (though not U.S. yet) Check out post from 4/21/2014 02:27:00 PM. Has anyone heard this album or seen any reviews online? Now back in stock at Third Man. Ordered mine online this morning posting to UK . Retail price $20, feeling sorry for unaware punters bidding mega $ on EBay! When is third man shipping these? I got a shipping confirmation this morning. now seems to be a publicity stunt gone south. A lot of folks pissed at the way the release has gone down. $117.00 for "Vinyl Box Set"
Cheaper on Neil's site. The box set comes with the standard vinyl, direct from the booth audiophile vinyl, 7 6" clear discs, the cd, a dvd and a 32 page book. Really not that bad of a price. Got mine ordered. I was excited to receive a notice from Third Man that vinyl copies were available again and ordered one right away for $20 + $6.98 postage. Now I find where there's a nice box set available from Neil's site that is a much better value than buying the vinyl alone. Wish I had waited another day. The marketing of this record has been pretty lame. If it weren't for Thrasher's Wheat I wouldn't have known it even existed.